Relationship are difficult! Even on Valentine’s day. Whether with our spouse, our children, our neighbors, our co-workers, or a variety of others, we seem to run into trouble more often than we avoid it. The problem is that problems happen in relationships! And few of us are well equipped to deal with them. 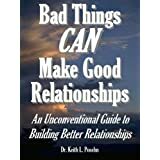 Well, in my usual “crazy California dude” way, I decided to look at relationship problems from a different perspective: Why cant the problems we face in relationships be turned into helpful things? I believe I’ve found direction, right from the mouth of Jesus, on how to use things that usually cause problems in relationships as helpful tools. There are libraries full of books written about “Knowing God’s Will” but we don’t need to read all those tomes to figure it out. Once again, James in his simple, practical way, uses just a few words to clarify the issue. This Sunday We begin our series “Faith That Works!” In this eight week exploration of the book of James, we’ll discover that the Bible actually is relevant and that faith does indeed work for our everyday lives.